LAUREN TOYOTA is a former MTV Canada host and a YouTube sensation. Her channel and blog, hot for food, attract a wide and engaged audience of young people curious about how to make vegan food fast and fun. In less than two years, her YouTube channel has gained over 391,000 subscribers. She lives in Toronto, Canada. "I’m not vegan, and I do eat meat, but I rarely cook it at home. 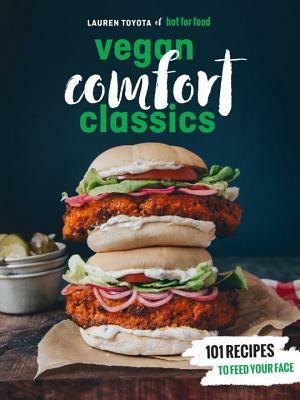 So I’m very, very excited to dive into this new vegan cookbook that is brimming with hearty meals that are vegan, but 100% comforting and satisfying. "